Strollers are a necessary part of baby life. Whether you go on walks, go running, go shopping, or enjoy taking your baby sightseeing, you’ll certainly get a lot of use out of your stroller. In addition, stroller rides can help your baby fall asleep. Test drive the stroller. You may find that what you thought was an appropriate height is actually uncomfortable for you in practice. You want to avoid strollers with handlebars that are too low and cause you to stoop, or too short and cause you to kick the stroller as you walk. Where will you store your diaper bag, purse, groceries, etc.? More often than not, you will be using your stroller for running errands or long trips, such as amusement parks or zoos. Strollers with a basket under the seat are really helpful, and additional trays, cubbies, pockets, or cup holders always offer other places to store yours or the baby’s things. You can always hang bags off of the stroller, of course, but that can cause it to tip. Ideally, you want the storage space that’s balanced on the stroller. Though this isn’t a dealbreaker, you may need a stroller that folds quickly and easily for public transportation, car storage, or airline travel. You won’t want to deal with the struggle of wrestling a stroller to the ground to fold it, especially if you’re alone. 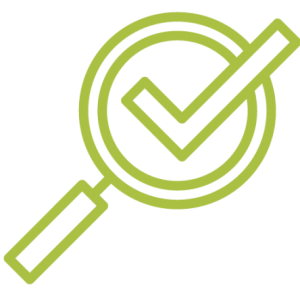 In addition, look for a stroller with a locking mechanism that keeps it from springing open once it’s folded, as well as a locking mechanism that keeps it locked in an open position. The last thing you want is your stroller collapsing while you’re using it. Try out your prospective stroller and make sure it’s easy and intuitive to fold and unfold. This is often overlooked, but it’s a factor that matters tremendously in crowded locations or for running and jogging. You want a stroller that corners easily, maneuvers around tight spaces and includes wheels that offer locks, but don’t lock randomly and cause you to trip or run into it. Lighter strollers are easier to push, haul in and out of the car, up the stairs, and so on. New, super-light strollers weigh around 8 to 10 pounds, though they’re generally designed for older babies. Newborn strollers are around 11 to 16 pounds, which still isn’t bad, but some strollers weigh an incredible 40 pounds. Add a baby to that, and it’s just too much work. Whenever possible, try to find a stroller that has the features you want, but also offers a lower weight. In addition, don’t worry that a lightweight means flimsy or poorly-made-many lightweight strollers offer the same durability as their heavier counterparts. One of the main reasons that travel systems have become so popular is that many mothers want the ease and convenience of having a stroller for their car seat. It’s no fuss to move a sleeping baby from the car to the stroller with a car seat, compared to having to wake and move them from the car seat to the stroller. In addition, some brands offer the travel system for an overall lower price than it would be to buy the individual components, which is a huge help in the long run. Does it have the features you want? You’re buying a stroller to last a while, so it’s helpful to consider the features you may want for every stage of the baby’s life. Storage areas, multi-point harnesses, fully-reclining seats, reversible seats, locking wheels, removable cushions, and buckles the baby can’t access are all features you may want to consider. Stroller frames – These provide structure and become a complete stroller once you add the compatible car seat. They’re typically lightweight and foldable, which makes them a great option for the first six to twelve months. Unfortunately, once your baby outgrows the car seat, you’ll likely need a full stroller to accommodate them. Travel systems – These strollers come with attachable car seats, which makes it easy to transfer a sleeping baby from the car to the stroller without waking them. It’s also an economical option since you no longer need a separate stroller, car seat, and adapter to attach the car seat to the stroller. Umbrella strollers – These are a lightweight and inexpensive option, though they’re unable to be used with infants since they lack the appropriate cushioning and support. Typically, babies that are six months and older, or can support themselves in a seated position, use this type of stroller. Because they’re cheap, these are a viable option as a second stroller. Joggers – These strollers are strictly designed for jogging and running. They are big, heavy, and lack the maneuverability of some other types. For jogging, they offer a smooth ride and big wheels to go over rough terrain, but they are not meant for everyday use. Double strollers – If you have twins or babies close in age, a double stroller is a huge help. They typically come in side-by-side or front-to-back configurations, though some have stadium seating for the back baby’s view and comfort. Some key differences include reclining seats for newborns in the side-by-side, and front-to-back strollers can often accommodate car seats, which is a help. That said, double strollers are bulky and can be awkward to maneuver, so it’s best to weigh your options. Now that you’re familiar with the types of strollers let’s look at our top picks. Double strollers come in two general styles: tandem (front seat and back seat) and side-by-side. Tandem double strollers are great for children of different ages. The younger child usually sits in the back closer to the parent. Older children like to sit up and look around, so they may sit in the front. Side-by-side double strollers are more appropriate for children who are closer in age and size. They come in a variety of shapes, sizes, colors, and finishes, and are generally easy to push, turn, and maneuver for getting around town. They have three or four wheels, depending on the make and model, and they usually offer some sun protection and loads of storage. Double strollers are great for parents with more than one small child. One toddler keeps parents pretty busy while running errands or walking around the neighborhood, but two toddlers can be downright challenging to control and manage! Double strollers make it easy to run around town with your kids, and because of the amount of storage that comes built-in to double strollers, you can carry everything you may need for the day. Many double strollers come with cup holders for the parents, as well as the children. Newer models will also offer a place for your smartphone, snacks and more. Double strollers have many features, like seat belts, padded seats, padded handles, adjustable wheels, and more. They are super easy to push and can easily be collapsed for transport and travel. Double strollers are great for siblings, cousins, or even neighborhood friends. They are ideal for nannies, daycare workers, and day homes for children. You'll often see parents pushing double strollers at the park, mall, and around town. Umbrella strollers are great for use in locations with heavy foot traffic, getting on and off public transportation, and for stowing in the trunk of a car when running errands. Umbrella strollers are often lightweight, made from durable materials, and offer plenty of storage for your growing child. Umbrella strollers tend to be great for outdoor use because they shield harsh sunlight from your child while you are walking around town or visiting friends at the park. Umbrella strollers fold up for quick storage, come complete with a seatbelt and footrests to keep children safe and comfortable. This stroller design is for children who are old enough to be upright in a seat; typically toddlers fit into umbrella strollers with ease. Children aged 1 or older can comfortably fit in an umbrella stroller. Children over the age of 4 might not enjoy sitting in a stroller, and depending on their size, might not fit. Umbrella strollers are great for children at theme parks, especially older children who get tired of walking around for hours at a time. They are great for shopping and strolling outdoor markets because they are smaller and easy to move and turn. Parents love umbrella strollers because they can be opened quickly and easily with one hand. They can be hung on a wall fixture for secure storage when they aren't in use, and the wheels offer brakes and locks, so the stroller doesn't move when standing in line, or waiting for the bus. They are affordable, come in a variety of styles and finishes, and offer a comfortable transportation mode for your children. Umbrella strollers are designed to fit one child at a time, but some models do offer double stroller seating in either tandem or side-by-side designs. When active people become parents, it can be difficult for them to continue their active lifestyle. Their once simple schedules are suddenly taken over by little people who need round-the-clock care. Coping with a new life change can increase the difficulty in going for a run, so many parents invest in a jogging stroller to continue their active lifestyles. 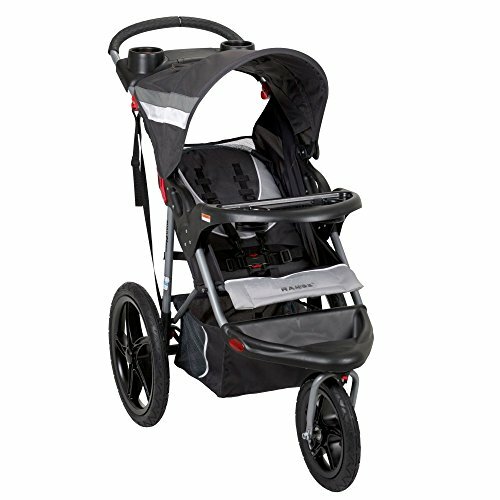 Jogging strollers are made from robust materials, heavy duty frames, and are designed for use on asphalt or trails. Jogging strollers come in both single-seat and double-seat designs. Double-seat jogging strollers come in both tandem design and side-by-side designs. Double-seat jogging strollers often have four wheels, but some have three. Most single-seat jogging strollers have three wheels for easy mobility and movement. The tires in the back are usually larger for stability and control, and there is a great deal of storage under the seat. What’s more, jogging strollers offer umbrella covers to keep the sun out of your child’s face while you are outside. Jogging strollers are larger than other types of strollers because they are designed for outdoor use. This makes them great for walking and running on tracks, trails, sidewalks and more. Many parents will get back into their running routine in no time when they invest in a jogging stroller. It's a great way to stay in shape or get back into shape after baby is born. Many parents opt for a jogging stroller even if they aren't a runner because these strollers are durable and offer a great deal of storage and stability. They come in a variety of sizes, shapes, materials, finishes and weight ratings. The design of the tires makes for a comfortable ride for the children and make it easy for parents to push the stroller around town. Lightweight strollers offer affordability, durability, and transportability in a compact design. When parents are in and out of the car with children, or if they travel a lot, it's worth investing in a lightweight stroller. Even if you own a stroller for jogging or a more robust stroller for longer walks, a lightweight stroller can make it quick and easy to get from point A to point B without lugging a big, bulky stroller around. Lightweight strollers offer enough storage for a few hours on the road, and keep your children safe with seatbelts; some models even offer umbrellas to keep the sun off your child's face and out of their eyes. Lightweight strollers are so light because they are made from aluminum, plastic, canvas, and other lightweight materials. They come in many colors and sizes as well. The wheels on lightweight strollers are crafter from plastic, rather than heavy rubber, like you might find on jogging strollers or larger strollers for multiple children. Strollers made from lightweight materials are good grocery shopping, walking around the shopping mall, and running errands. What's excellent about lightweight strollers is that they offer a variety of seating positions. More expensive and larger strollers offer this feature as well, but it's a great feature to ensure your child's comfort. Most models have an upright position, 45-degree position, and flat position. Other more expensive models offer a few positions and more storage in the built-in baskets that you usually find on these strollers. If you are a busy mom or dad, who is tired of dragging a large stroller around while getting in and out of the car, consider a lightweight stroller for your errands and day-to-day needs. While a lightweight stroller can do the job of acting as a travel stroller, if you are a parent who travels a lot, you might consider investing in a travel stroller. Like travel shorts, shirts, and pants which come in different materials, travel strollers are designed to be lugged in and out of trunks, airplane cargo holds, and more. New parents often learn the hard way that taking a full-sized stroller on a trip is difficult. If you want to avoid wrestling with a full-sized stroller while going through airport security, then consider purchasing a travel stroller. Travel strollers are very lightweight, offer a variety of storage options, and provide hours of comfort for your children. Travel strollers are designed to fit through airport security x-ray machines, and they considered checked baggage by most airlines. Kids will love that travel strollers offer several seating options, and parents will love that children are comfortable and content while they travel. Parents should make sure they get a travel stroller that has a comfortable handle system. Pushing a stroller around for hours at a time can be tiring on your hands, so get one that offers cushion and padding to keep your hands from getting tired. Also, getting a travel stroller with high-quality wheels means that parents have to exert less effort to move the stroller around. Travel strollers are great for getting around airports, museums, theme parks, and more. They are available in a variety of materials, colors, sizes, and shapes. You can even get travel strollers for more than one child, in tandem design or side-by-side design for siblings or multiple children. Getting a travel stroller will make your travels more enjoyable and easy. Ultimately, choosing a stroller is a deeply personal decision that depends on your needs and lifestyle. What may be important to one mom may be a compromise for another. It’s important to weigh your options carefully, come up with a budget, decide which features are most important, which you’re willing to forgo and decide if you want a stroller that is designed to last many years, or be a short-term solution with greater features for that particular life stage. There are so many options on the market that you’ll be sure to find the perfect stroller for you and your baby, with all the bells and whistles you want.